The modules allow the use of fully intelligent radio (wireless) field devices alongside standard hard wired devices. Connection of up to 32 radio field devices to an addressable fire detection loop. 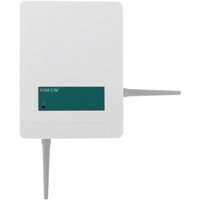 The RSM-EXP Expander Module increases radio coverage of a FIREwave RSM-WTM Translator Module, allowing the use of the system in larger buildings and in difficult wireless environments. Multiple Expanders can be utilised in a micro cell structure to provide a solution to large, complex systems. Up to 7 Expander Modules may be configured to any one Translator Module forming a micro cell cluster. Self-optimising wireless amplitude and frequency.